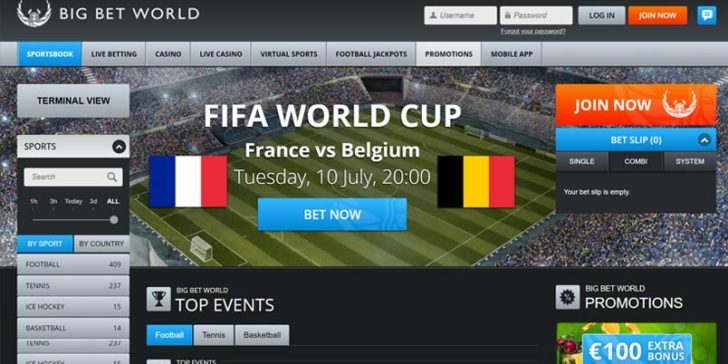 Big Bet World Sportsbook, launched in 2014, is a fresh addition to the EU online betting scene. It is run by M-Hub Gaming Operations Limited under a Maltese gaming license. 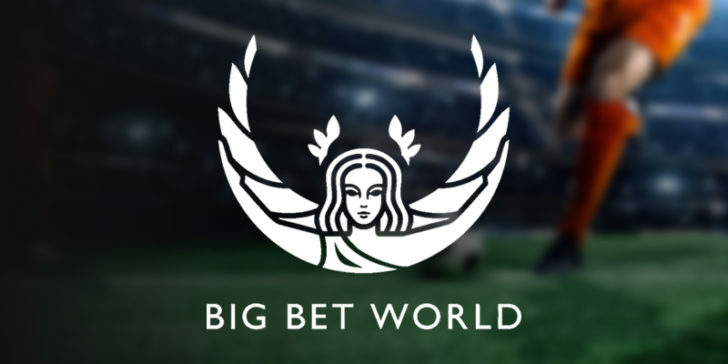 Big Bet World’s aim is to satisfy punters who bet on sports in the EU, especially in Germany and Eastern Europe, and they offer bets in all the sports European players tend to bet accordingly. Football, basketball, ice hockey, tennis, American football, golf, winter sports, darts, rugby, handball, Aussie rules, bicycle and motorsports are all available in their catalogue. They offer fair odds for these events, but their main strength is the vast selection of markets they offer for the covered sporting events, including a long list of specials. This collection is supported by a detailed live score radar and also a sports statistics section. An excellent live-betting service is also available. This is as simple and user-friendly as the whole website and though the design is already mobile friendly in itself, Big Bet World Sportsbook also have a handy mobile version. The operator also has a Football Jackpots section and a Racebook. Their promotions are also pleasing. The 100% max. EUR 100 first deposit bonus is excellent and Big Bet World Sportsbook also has a loyalty program with Big Bet Points earned that can be redeemed to cash. And they offer the Superpay bonus, which is a really cool accumulator bonus paying a bonus up to 80% on accumulator winnings. Big Bet World Sportsbook is also great when it comes to banking options. You can make a deposit via Visa, MasterCard, Skrill, Neteller, PaysafeCard, Sofort, MPass, Przelewy24 or a bank transaction and withdrawal is also available in a satisfying selection of forms. Withdrawals within Europe are paid in 3 to 5 days, while other international are settled in 5 to 7 business day. Their main currency is Euro, but Big Bet World Sportsbook supports a long list of currencies. Customer service is available via email and phone (free of charge from Germany, Serbia & Croatia) and there is also a live chat support. However, 24/7 customer support is what missing from this site. 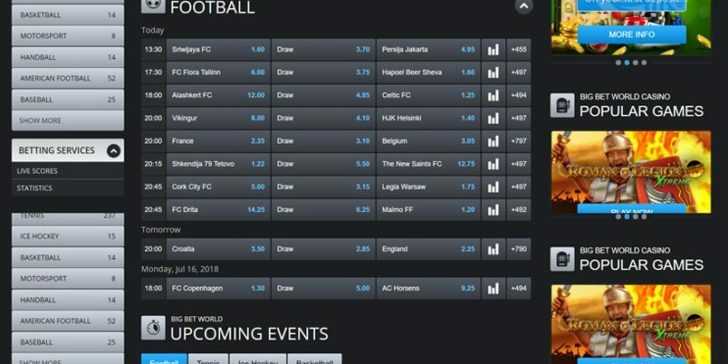 Apart from that, this is a fine internet betting operator that offers a lot of online betting options for the most important events. Big Bet World Sportsbook is the perfect destination for those punters, who like to go into details and prefer comprehensive markets to two or three-way betting. Big Bet World Sportsbook’s Betting Loyalty Program Pays You after Every Bet! Football Jackpot Prizes at Big Bet World Sportsbook Pay Out Millions of Pounds! Get a Sports Betting Accumulator Bonus up to 80% at Big Bet World Sportsbook! 100% Max. €100 Betting First Deposit Bonus to Jump-Start Your Punting Career at Big Bet World! Take Part in the New Big Bet World Superpay Bonus! Get a €100 First Deposit Bonus for Betting at Big Bet World Sportsbook!